Anne Thomas, An English tutor and blogger for Oxford Open Learning discusses why she finds Black History and the Arts fascinating. As a very proud Liverpudlian it is an honour to be a part of a city which has one of the oldest established black communities in the UK, something like about 300 years old, and from an early age I was aware of many famous black Liverpudlians, from John Conteh, World Light Heavyweight Boxing Champion to Cliff Hall, member of the Spinners folk group. I remember my grandma proudly telling me that once she had met and spoken to Mr John Archer, a Liverpool born man of dual Barbadian/Irish heritage who became the first black mayor of a town in Britain, Battersea. I remember being told when I visited the swimming baths with my school in the centre of Liverpool, about the brave boxer and swimmer James Clarke who not only saved children from drowning in the Leeds Liverpool canal but visited local schools to encourage children to learn to swim and taught swimming at his local pool. He is the only black man in Liverpool to have a street named after him. 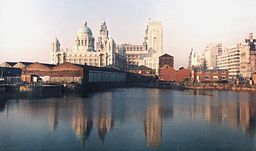 The earliest black Liverpudlians were freed slaves, black servants and students, who settled in the port of Liverpool from the 1730s onwards and were joined by freed black American soldiers who had fought in the American Civil War together with sailors, soldiers and migrant workers throughout the 18th, 19th and 20th centuries. The community remains vibrant and exciting to the present day, making a major contribution to Liverpudlian life.